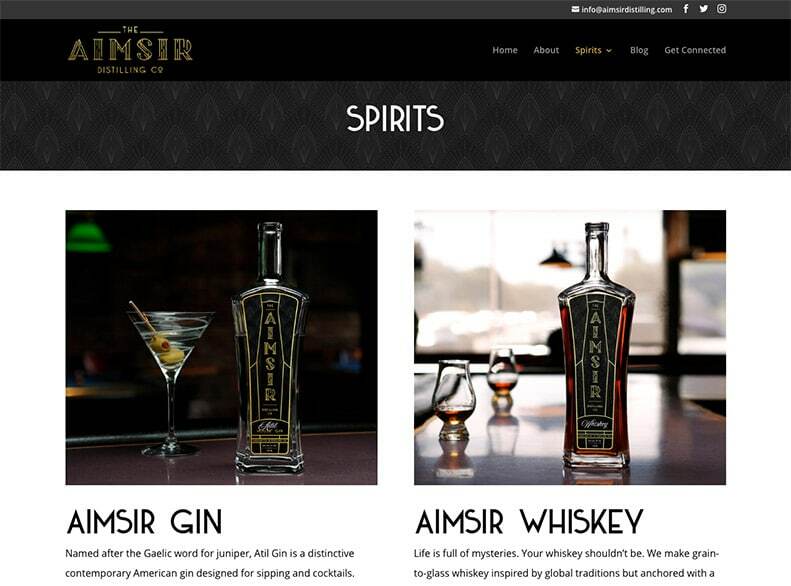 The Aimsir Distilling Company will soon open their new micro-distillery in Portland. The company owners are busy finalizing their product packaging, obtaining necessary licensing, and determining their tasting room location and details. 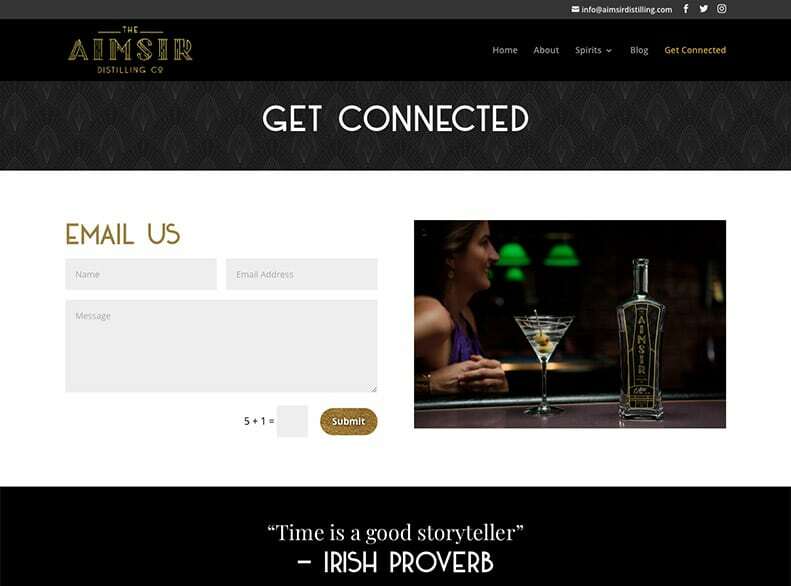 As part of the pre-launch phase, Aimsir needed a website to showcase their story and unique products. 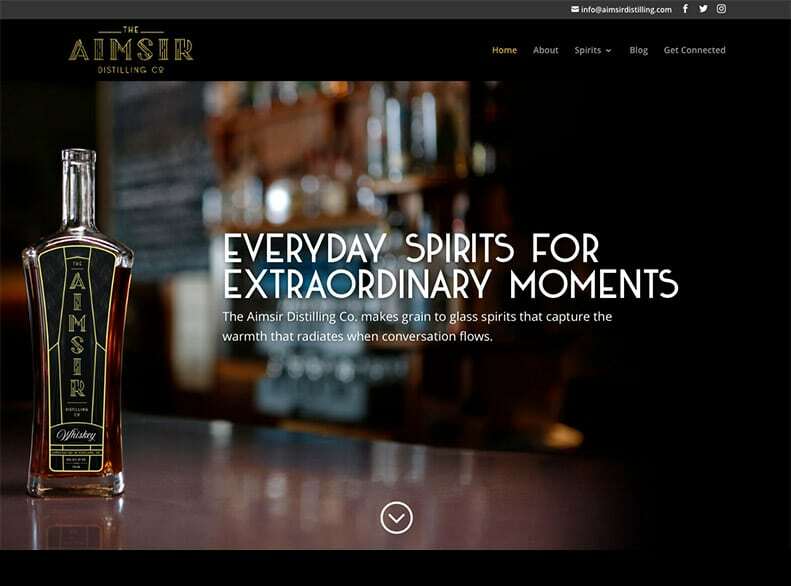 A visually-compelling, user-friendly website by Bourke Design promotes the Aimsir Distilling brand, describes their high quality gin and whiskey, and encourages the public to visit their tasting room.